Sorry, Chuff Enuff RDA Top Cap Drip Tip has been discontinued. 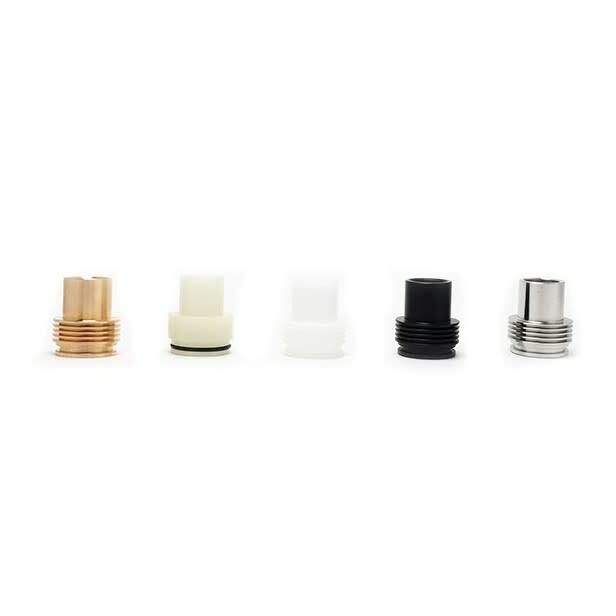 Made of Delrin thermoplastic, these Chuff Enuff top caps are meant for rebuildable dripping atomizers (RDAs) only. They replace the top part of your compatible RDA, offering a very wide bore, and perfect cooling thanks to the Delrin material. They sit flush on standard 22mm RDAs. 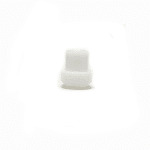 Made of Delrin thermoplastic, these Chuff Enuff top caps are meant for rebuildable dripping atomizers (RDAs) only. They replace the top part of your compatible RDA, offering a very wide bore (1/2"), and perfect cooling thanks to the Delrin material. 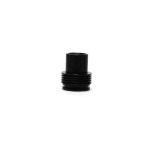 Perfect for intense cloud chasing, they sit flush on standard 22mm RDAs. Also available in pure Stainless Steel or Copper. 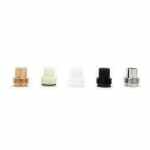 Please make sure that your RDA is compatible with these top cap before ordering, and note that these are not compatible at all with standard clearomizer or rebuildable tanks, no refund is applicable in the event of the drip tip not fitting your specific device.